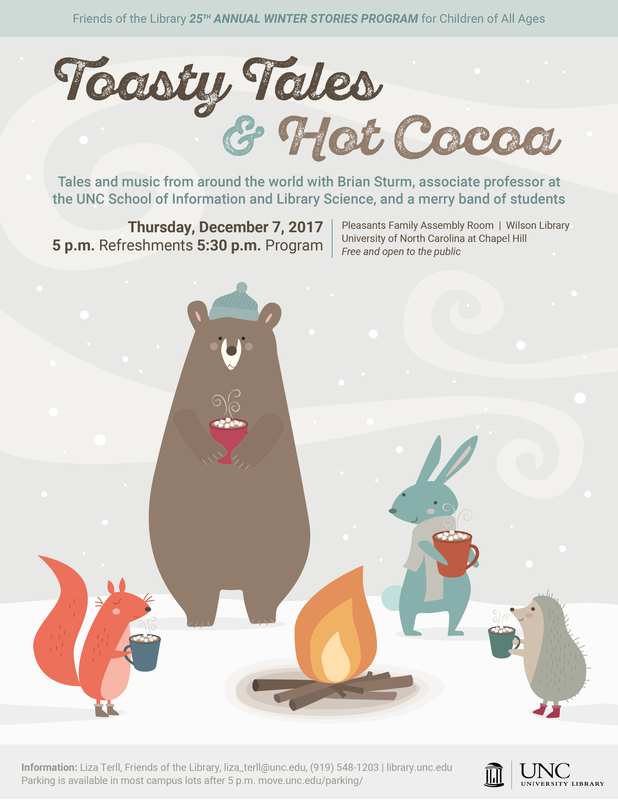 Please join Story Squad for the 25th annual Winter Stories program, “Toasty Tales & Hot Cocoa” on Thursday, December 7, 2017 from 5:00pm – 6:30pm in Wilson Library’s Pleasants Room. There will be hot chocolate and sweet treats at 5:00pm, Hausa cow horn xylophone music at 5:15pm, and the storytelling and singalong program begins at 5:30pm. This is free and open to the public, so all are welcome, but please know that very young children (under 3 years old) may not be able to sit still for the storytelling program.